November 13th District Council 6 acknowledged National Apprenticeship Week at their Strongsville Union Hall. 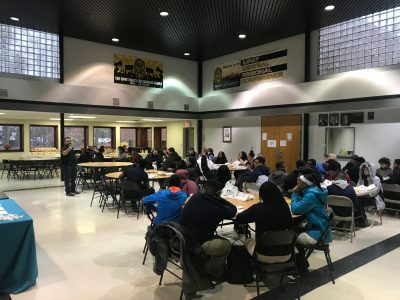 This event captured the attention of 143 attendees for various schools within the surrounding areas including; Cleveland Heights High School, Cuyahoga Valley Career Center, Polaris Career Center, Clearview Local Schools, Max Hayes, Warrensville Heights and Medina County Career Center. 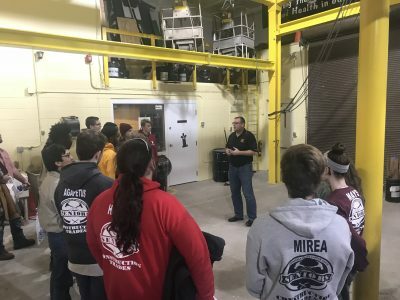 Throughout the day nineteen students completed our general application, of which included seven young woman who are seriously looking to join the IUPAT. 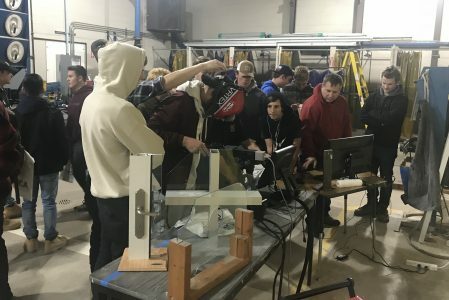 DC 6 recruited the help of our current apprentices and staff to assist these students with hands on demonstrations to capture the feel of what our trades involve. Current apprentices inspired these students by telling their stories on why they joined the union and how it has changed their lives. Glaziers Local 181 celebrated their 100th Anniversary on March 21st. Here is the the video loop that was played at the event. Here is a link to some additional photos of the 100th Anniversary Event.